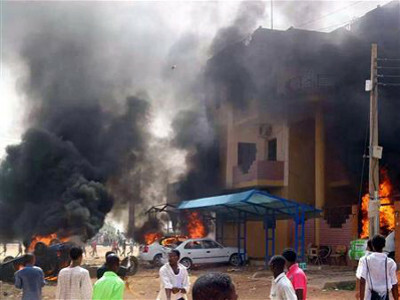 The Sudanese army issued a statement saying it would not allow the state to collapse, following weeks of protests demanding an end to President Omar al-Bashir’s 30-year rule. Some activists called for the military to back protesters and pressure government to step down. Addressing soldiers this month, Bashir, a 75-year-old former paratrooper who seized power in a bloodless coup in 1989, said he would only move aside for another army officer or at the ballot box. Protests were triggered by price increases and cash shortages but evolved into demonstrations against Bashir.